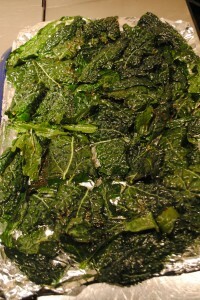 Consider baking kale chips if you’re hosting a Superbowl party. 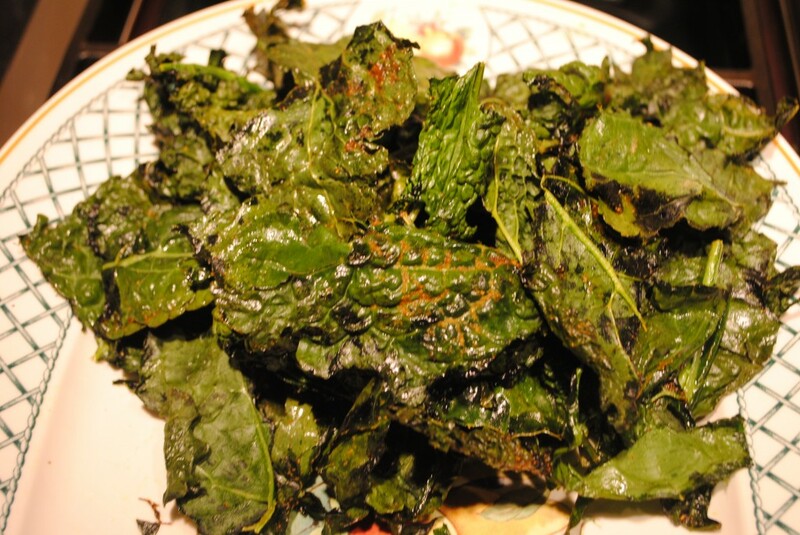 Kale chips are quick and easy to make, taste great and can be a healthy addition to your menu whether you’re watching the game on the big screen or at a tailgate party. It may take some COERCION to convince RELUCTANT guests who were expecting burgers and fries to go green. The ones who CAPITULATE will be glad they did. 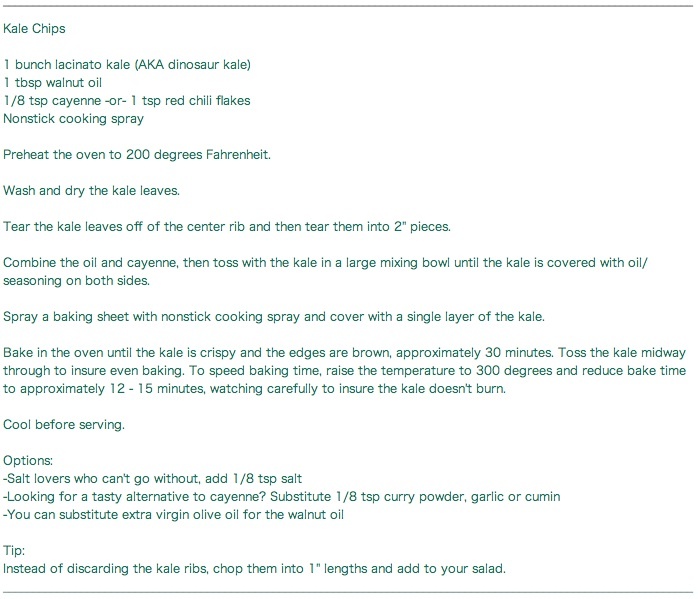 If you are a diehard Italophile like me, you love lacinato kale, a staple of Neapolitan cooking. It’s classified as an heirloom plant because it’s no longer cultivated on a large scale. 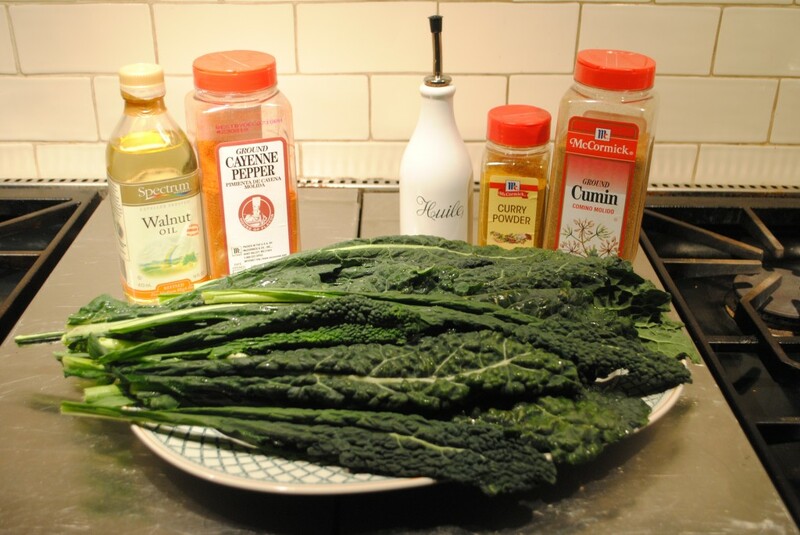 I enjoy the texture and taste of this superfood much more than the common VARIANT, curly kale. 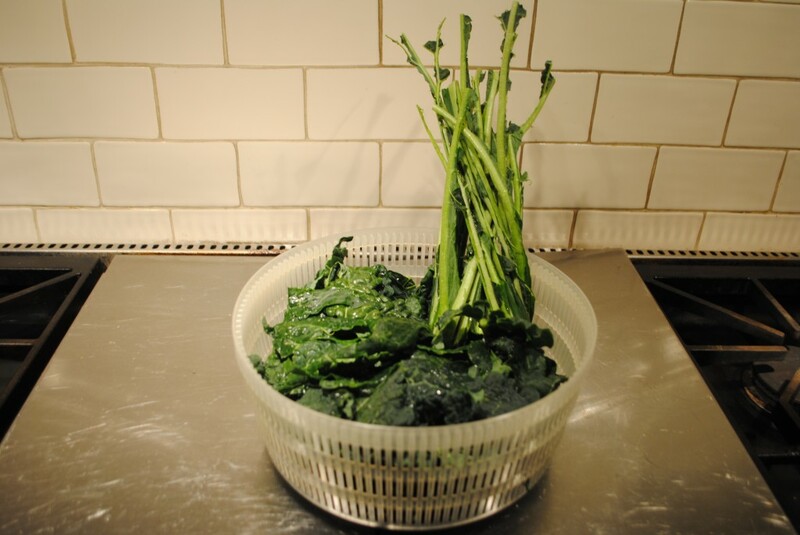 Dry the torn kale with a salad spinner or paper towels. Do not discard the central ribs...chop them into 1" pieces and add to your salad. 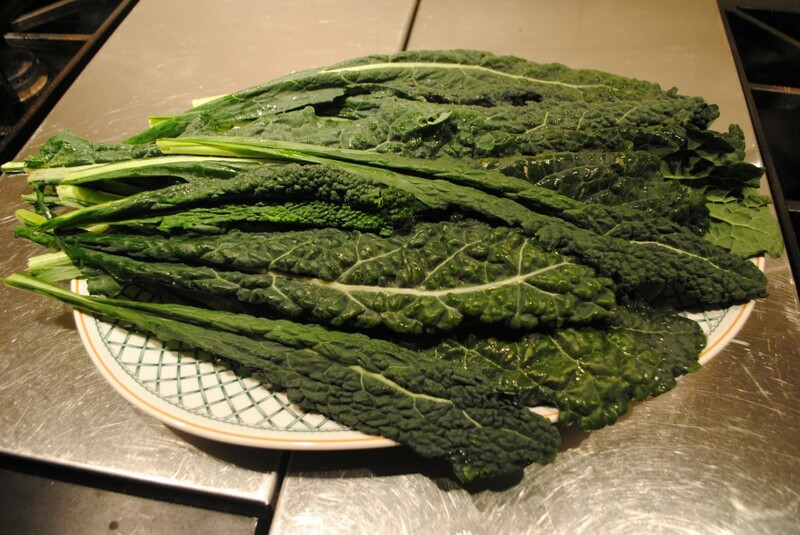 Torn kale leaves can be arranged on the baking sheet with the edges tightly CONTIGUOUS, but keep them all on one layer for even cooking. New England Patriots vs. New York Giants . . . that’s tough for someone like me, who has roots in both of those places! This entry was posted in Healthy Snacks, Recipes, Vocabulary. Bookmark the permalink. Love this easy to prepare healthy alternative to traditional chips. Looks delicious. Pingback: SATgourmet: Cook Your Way Through The S.A.T.